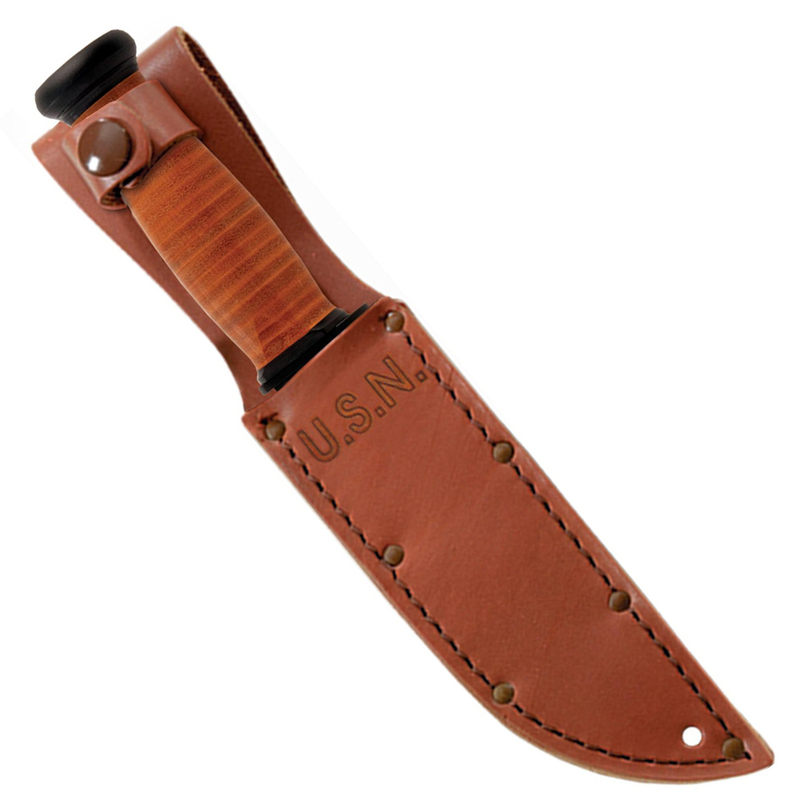 Ka-Bar knives. 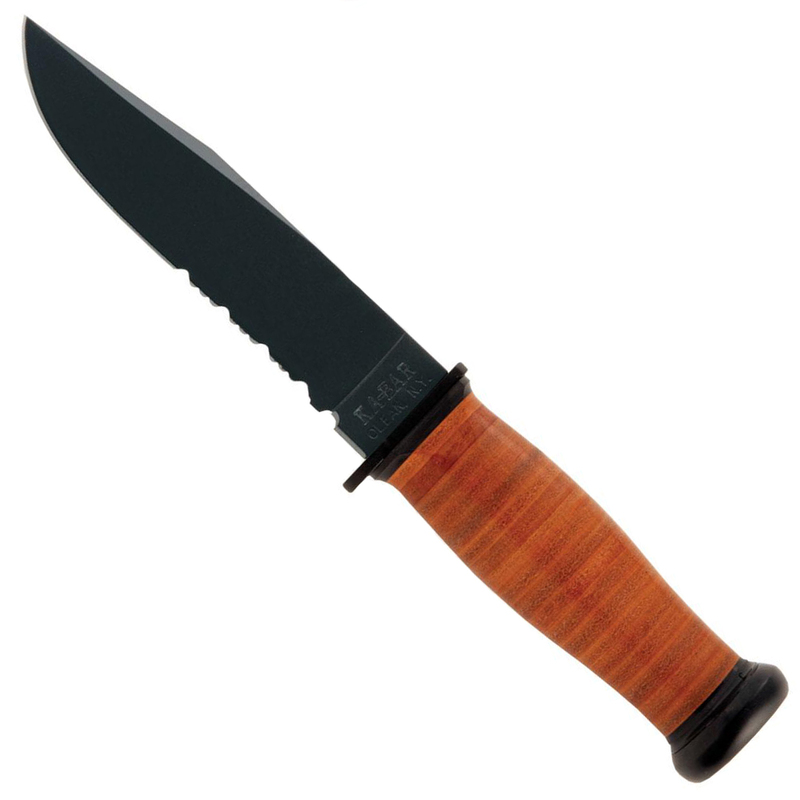 Ka-Bar Mark 1 Serrated. 9 3/8" overall. 5" black coated partially serrated 1095 Cro-Van steel blade. Brown leather wrapped handle. Stainless black coated guard and pommel. Embossed brown leather belt sheath with lanyard hole.